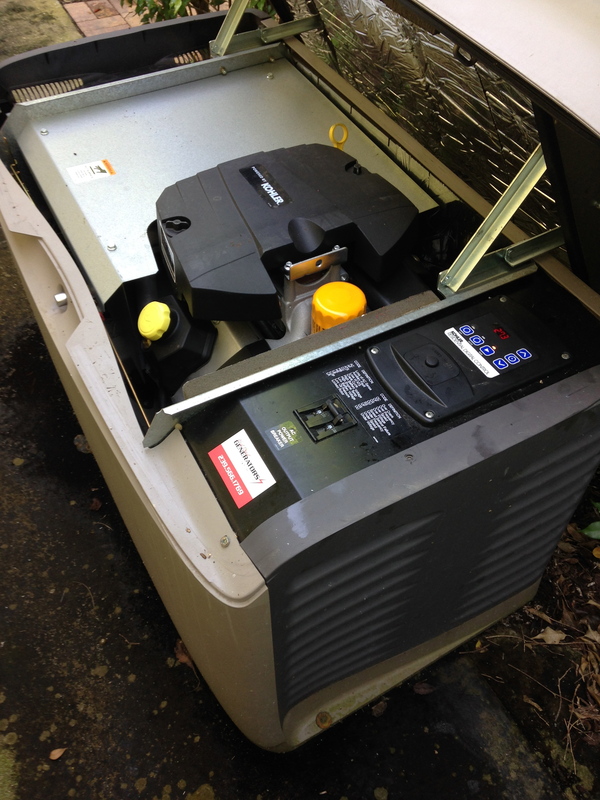 Another Kohler standby generator comes alive! The surroundings are not as glorious as this Kohler standby generator, but very shortly it will be surrounded by beautiful brick pavers and some luscious green plants. Some of the visible benefits to this Kohler 20RESA is the obvious, the never rusting, UV resistant polymer case. I can assure you that the very first Kohler 20RESA’s we installed several years ago look the same today as the day they we installed them. This Kohler 20RESA is definitely the leader in it’s class. You can put it up against any other brand and it will win! In the photo above, can you see the darker yellow object in the center of the pic? That would be the oil filter and what a glorious design! Yes, a self draining oil filter! Genius! 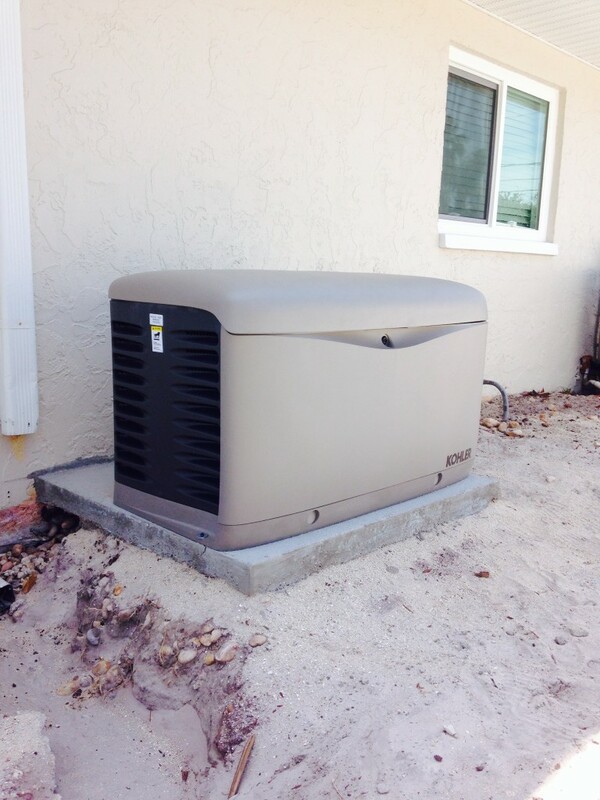 I have worked on numerous standby generators and no other brand has this feature. Absolutely NO MESS when changing the oil and filter. All the other brands have filters that are on it’s side and absolutely make an oily mess when servicing. There are many other features that I will discuss in future posts so stay tuned!